The story of Fred the Fly relates to a period when Fred enters an open window of a house and settles on the side of a jug of cream. His anticipation at being able to sample some of that cream is swiftly ended when he is hit by the mistress of the house, who was holding a rolled up newspaper in her hand. Fred hides behind the window blind, recovering from the attack, when another swish from the mistress sends the blind crashing down, throwing Fred into a container of potato peelings and other vegetables. Fred then begins a journey to the top of the garden and a whole new adventure involving his enemy, Sam the Spider, and his friends, Cedric the Slug and Harry the Snail. Joe Carr is a 78-year-old retired police officer who dedicated 30 years of service to the Birmingham/West Midlands area. He has been married to his wife for 48 years and together they have two daughters and six grandchildren, between the ages of two and ten. 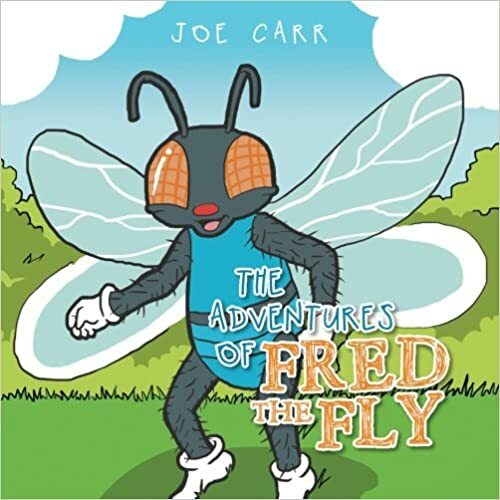 “The Adventures of Fred the Fly” is a story that he read to his children and grandchildren and has been left open-ended for further adventures by the characters mentioned. Cassandra's Review- The book was a longer read, but it was good. Fred the fly is curious and gets into trouble, he also gets hurt, but in the end he was able to make it home. If there was any underlying message, I did not find it. I would recommend this book for youth because teens might not really be so enthusiastic with a cute bedtime, type of story.